Students, staff, parents, district leaders, school board members and community members are celebrating the selection of Nicolas Junior High School as one of California’s 2019 Schools to Watch. In March, the school will be recognized by the State in Sacramento and in June, will be recognized in Washington DC as a National School to Watch. Nicolas Junior High School has worked diligently to make a name for itself in an array of areas, however the Schools to Watch acknowledgement highlights the pathways offered at the school as well as the Flexible Intervention Program/College and Career Readiness, and Math Intervention efforts. Nicolas has successfully implemented innovative programs that have resulted in higher test scores and improved attendance. The Pathways have been instrumental in helping students discover their agency and work toward attainable goals leading up to high school and beyond. 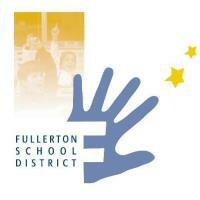 Nicolas Junior High School serves 7th and 8th grade students in the Fullerton School District. California’s Schools to Watch-Taking Center Stage program uses a competitive, rigorous review process to identify high performing, high impact middle schools so that all middle schools may have models of real-world success. Nicolas Junior High School is one of less than 130 model schools that have been identified statewide since 2003. The program is provided by the California Middle Grades Alliance, which includes the California League of Middle Schools (CLMS; the lead agency), California Department of Education, and other statewide educational organizations who are partners in the California Middle Grades Alliance.